Lots of delicious desserts and sweets have arrived at Daimaru Tokyo for the spring season and will be sold up until April 16. Here are some of the must-tries! 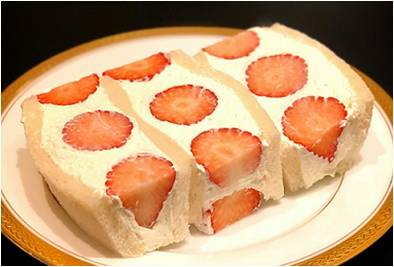 This brand new dessert is made with Sky Berries, a new type of strawberry from Tochigi Prefecture, and is packed inside fat sandwiches filled with fluffy fresh cream. Grand Marble specialises in making Danish pastries with marble designs. 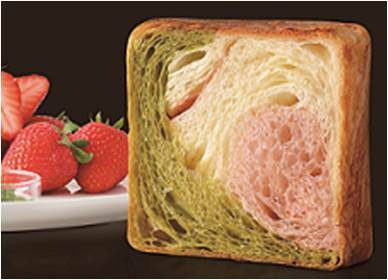 The Kyoto Sanshoku is a mix of three flavours: matcha, strawberry and plain. It also comes in a gift box making it a great little gift. 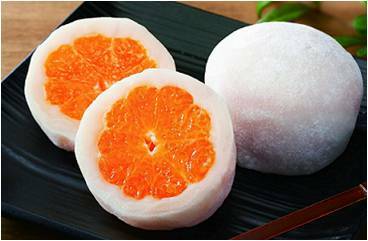 These daifuku contain whole mikan oranges grown in the southern part of Ehime Prefecture. When bitten into the juice of the mikan bursts into your mouth and fills it with a delicious citrus flavour. 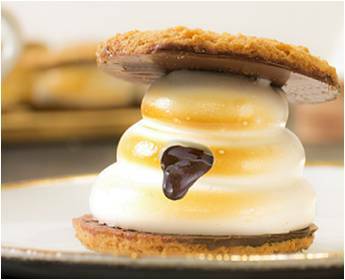 Available for a limited time only, this innovative treat is a cookie sandwich filled with a gorgeous velvety fried marshmallow containing chocolate. 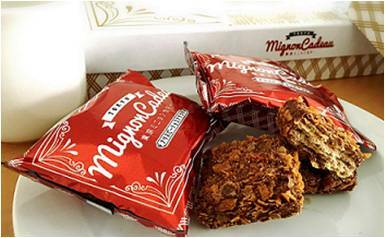 A perfect combination of dried fruits, caramel and corn flakes make up the base of this chocolate cookie. 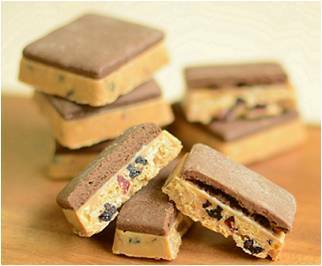 The sour berries and smooth, rich flavour of the caramel make for an delicious match. These crunchy wavers are made from fried crepe dough and coated in chocolate. Head to Daimaru Tokyo for a taste of these limited-time sweets!